No other brand evokes more passion, loyalty, and respect than Bach Stradivarius. Exceptional tonal color, balanced response, and superb projection are the hallmarks of designs by Vincent Bach. Carrying on the legacy and true to the vision of the master craftsman, the makers of today's Bach Stradivarius proudly introduce the Artisan Collection. Skillfully handcrafted, Artisan culminates in a unique blend of classic design, elegant styling, and the signature Bach sound. Whether a passionate enthusiast or performing artist, experience The Artisan Collection and discover the Artisan within. 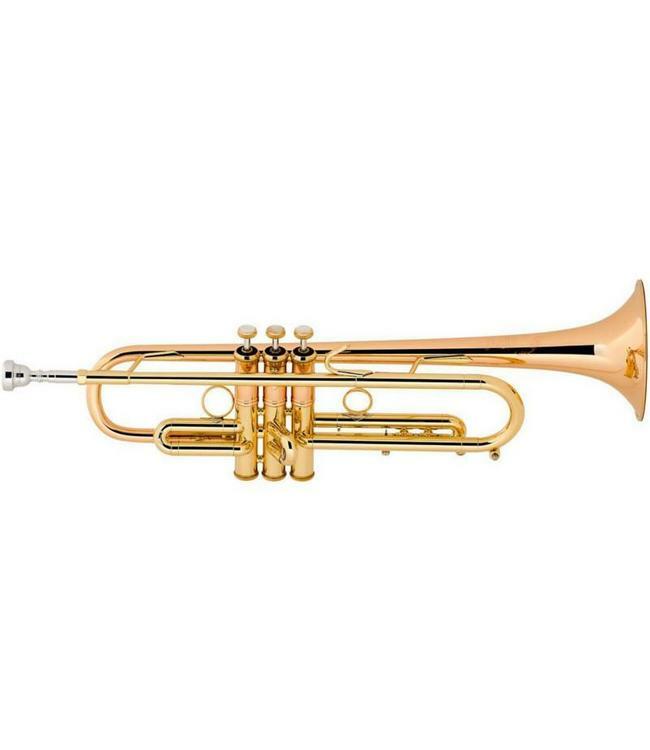 "Stradivarius" - 190 Series - Key of Bb, .459" ML bore or .462" L bore, standard weight body, lightweight one-piece hand-hammered #1 bronze bell with 5" French-style bell rim, two-piece valve construction with brass valves and bronze ballusters, standard construction modified #43 leadpipe, Monel pistons, 1st slide thumb ring, lightweight brass outer and lightweight nickel-silver inner valve slide tubes, forward facing 2nd valve slide, crescent-shaped valve pul knobs, two main tuning slides standard - "D" shape and single radius.